Bracelet with central hearts decoration with crystal rhinestones. 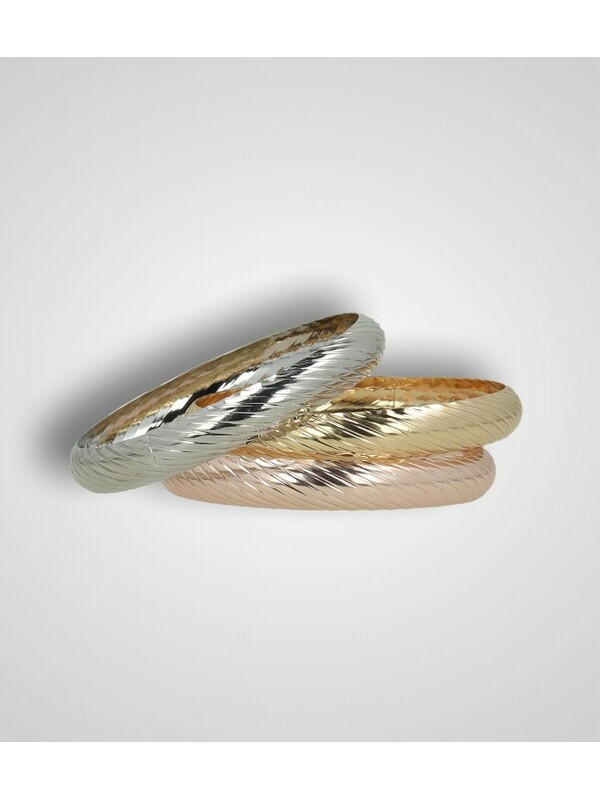 Adjustable size with sliding closure. Slider bracelet with corals shape component and pearl. Anklet with rhinestones and butterflies charms. Anklet with rhinestones and flower charms. Anklet with rhinestones and bow charms. 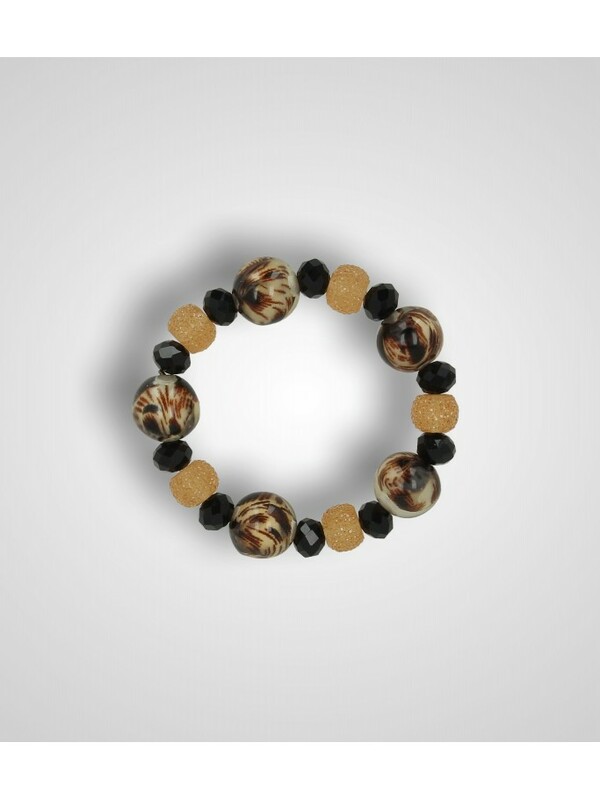 3-tones slider bracelet with oval enamelled components and a metal element with beads. 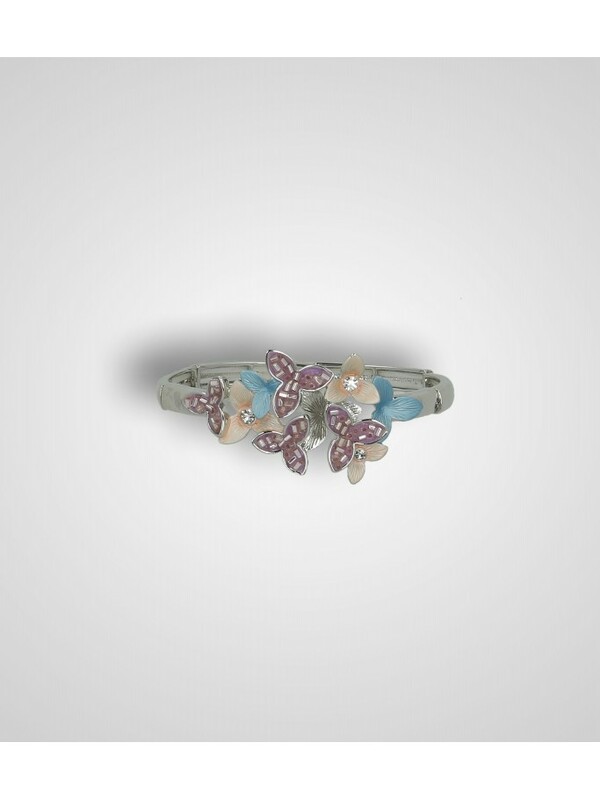 Metal bracelet with enamel flowers in pastel colors and rhinestones. Elastic bracelet with spotted pearls and pavé balls. Bracelet with central butterfly decoration and enamelled element. Adjustable size with sliding closure. 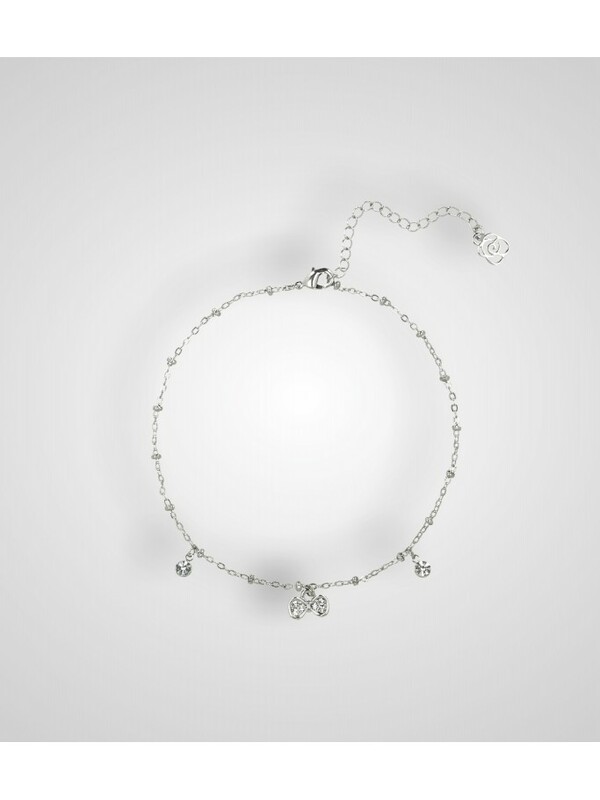 Bracelet with enamelled butterfly with rhinestones and multi-faceted beads. Elastic bracelet with acetate rectangle and pearl effect embedding; metal micro-pearls and glass-resin. 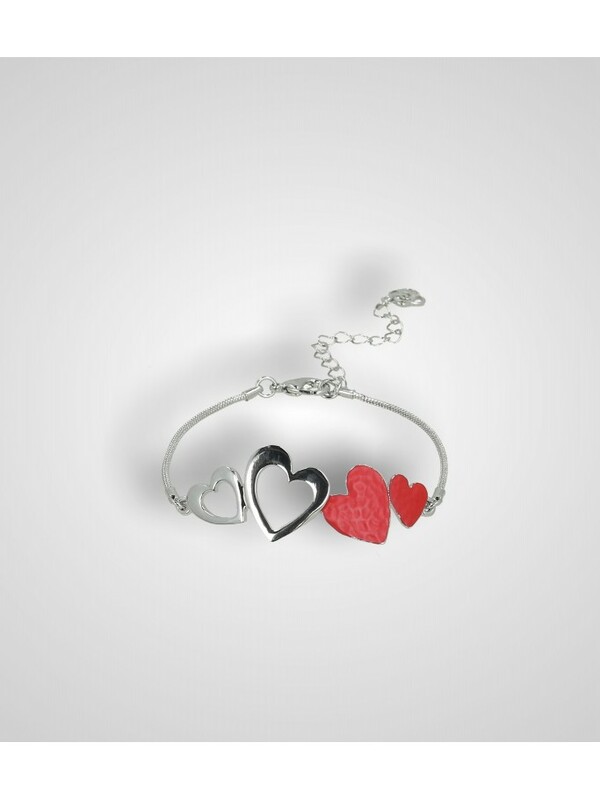 Bracelet with central multi-hearts decoration in polished metal and hammered enamelled metal. 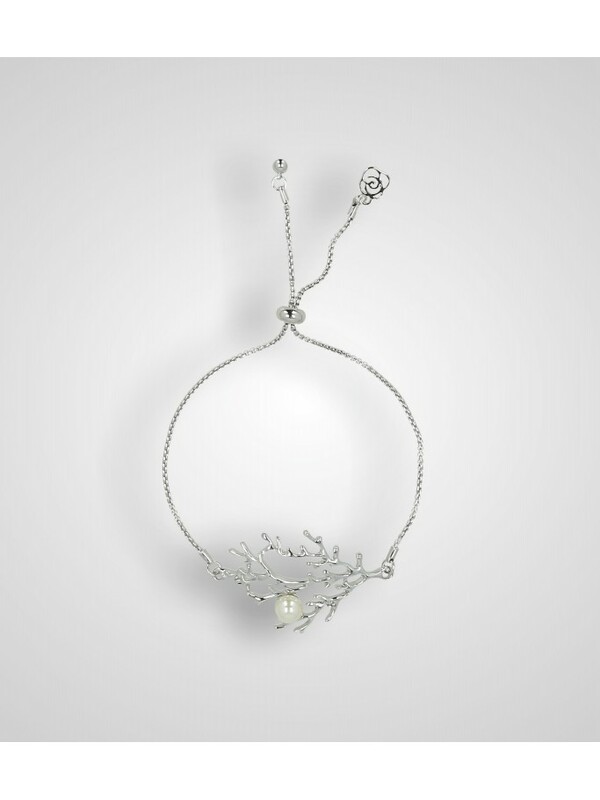 Elastic bracelet with different kind and material pearls with flat pendants.